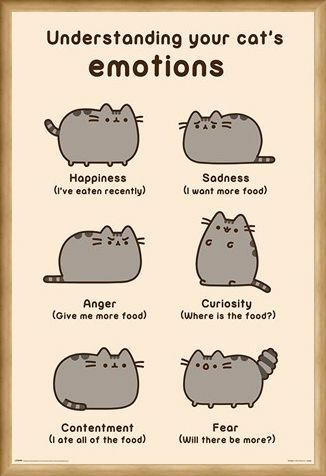 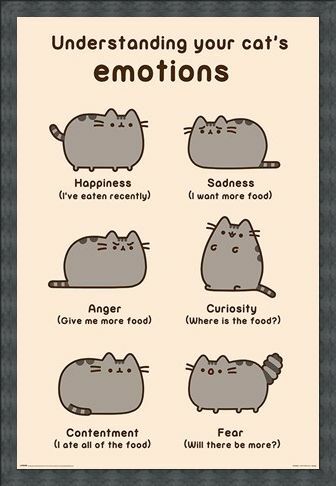 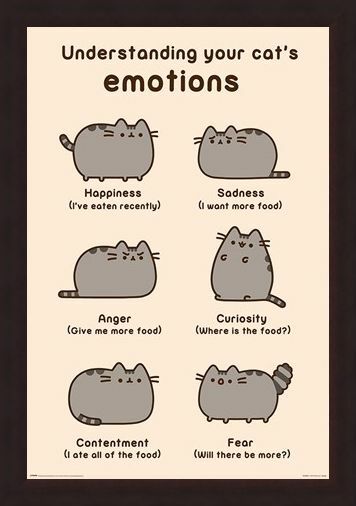 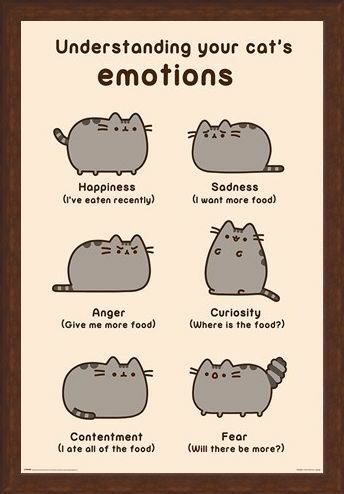 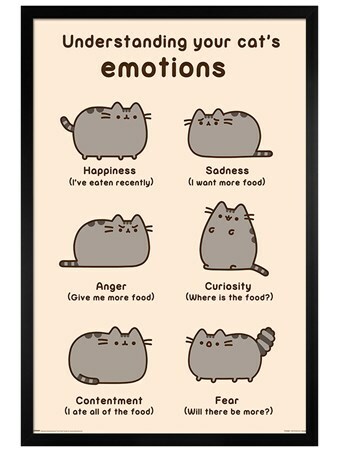 A very insightful and succinct guide to your cats emotions, this Pusheen poster is the ideal addition to any cat lover's home! 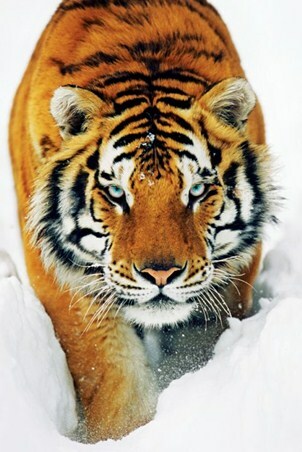 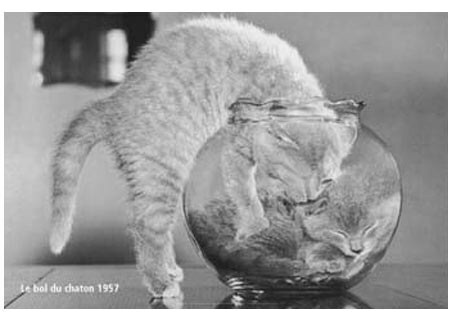 We all know that cats are food orientated, but did you know just how far? 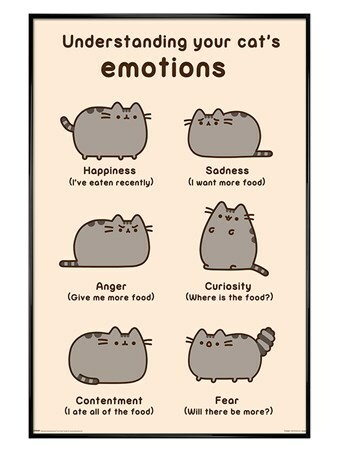 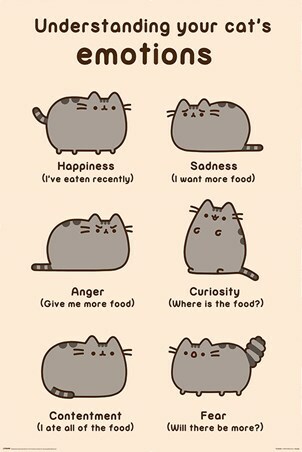 Happiness, sadness, anger, curiosity, contentment and fear - all adorably depicted by the grey tabby herself! High quality, framed Cats Emotions, Pusheen poster with a bespoke frame by our custom framing service.